In times of chaos, we can all do with a little zen in our lives. 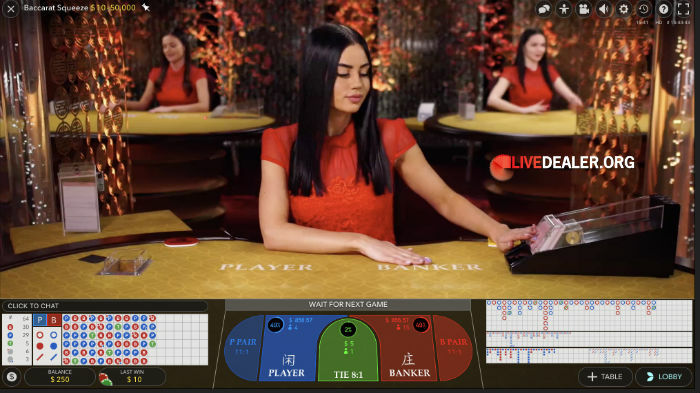 Gaming experiences don’t come much more zen than a few rounds amongst the bubbles, on Evo’s Squeeze Baccarat table. Throw dealer Sintija into the mix, and risking real money becomes about as relaxing an experience as it could possibly be. Just as well I was winning, as I may not have noticed any mounting losses. What’s the betting on Brexit? How accurate is geolocation tech used by NJ online casinos?